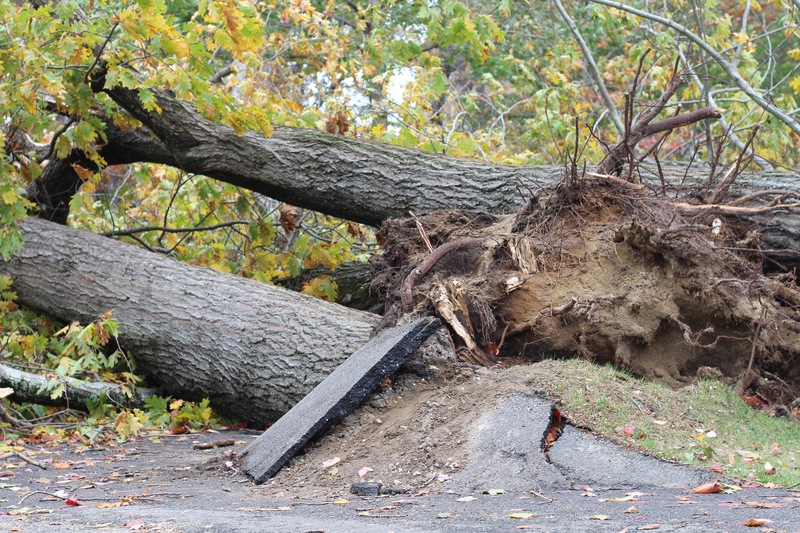 A storm Sunday night and Monday morning caused extensive power outages, affecting campus and a record number of people in Maine. All classes scheduled before 10 a.m. were canceled by Elizabeth F. McCormack, dean of academic affairs, and many more later in the day have been canceled at professor discretion. Three large trees fell on main Quad Monday morning. With power and internet access out across campus, students are crowding into Thorne Hall and Daggett Lounge looking for seating, food, WiFi and power for their devices. 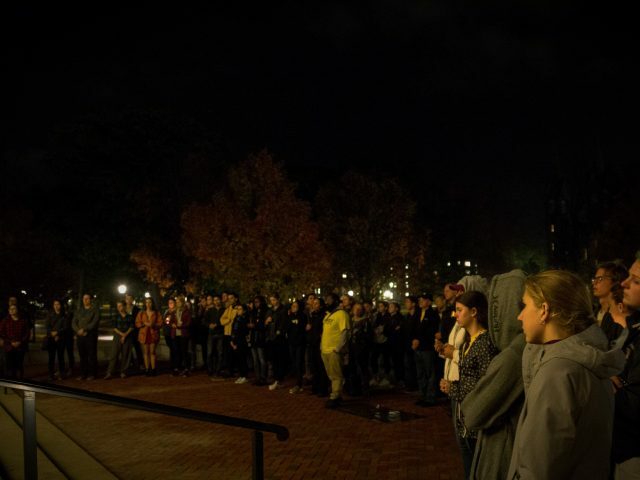 Thorne is among the few buildings on campus with backup generator power and has been experiencing an overload of students and other community members. Students are lining the hallways and sitting around the edges of Thorne, many on computers and attempting to complete homework. As of publishing, the only buildings on campus that have power are those that are generator powered which include Thorne Hall and Daggett Lounge, the upper floors of Moulton Union and Rhodes Hall. 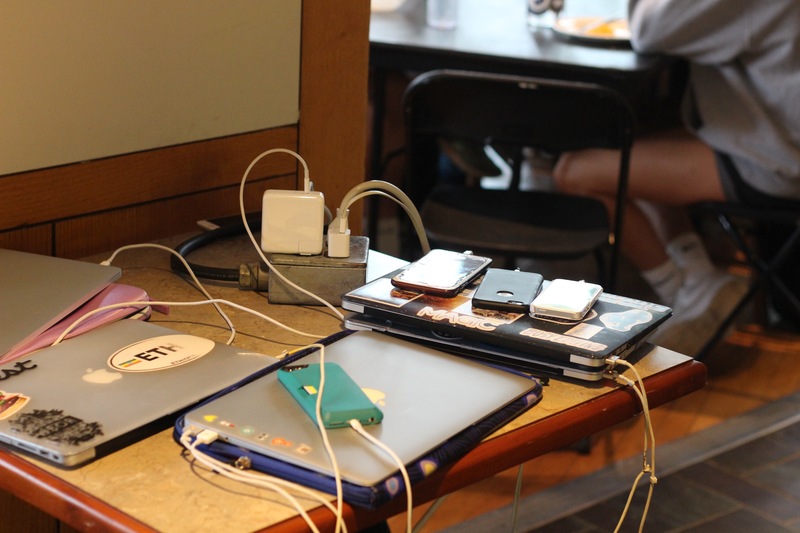 Outlets were a hot commodity in Thorne Hall on Monday afternoon. Other buildings on campus without electricity still have minimal light-safety power, enough to power systems like fire alarms, sprinklers and safety lights. Hatch Science Library still has WiFi, but only has minimal safety lighting. 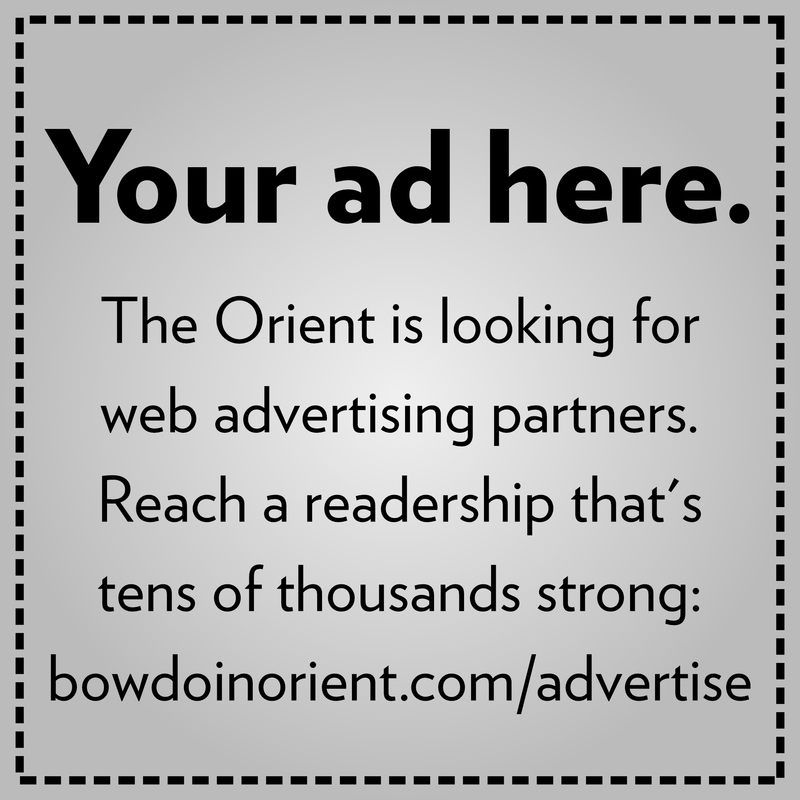 According to Randy Nichols, director of safety and security, there appears to be no significant structural damage to any Bowdoin buildings, though hundreds of trees on campus are damaged and many have fallen including three large trees on main Quad, many on College Street and in the parking lot of Admissions. Facilities crews have been out working on trees since early this morning. According to Nichols, it is possible that power comes back later today, but it may take until tomorrow or even after. “The last information that we have from CMP [Central Maine Power] is that outages are vast throughout the state,” he said. 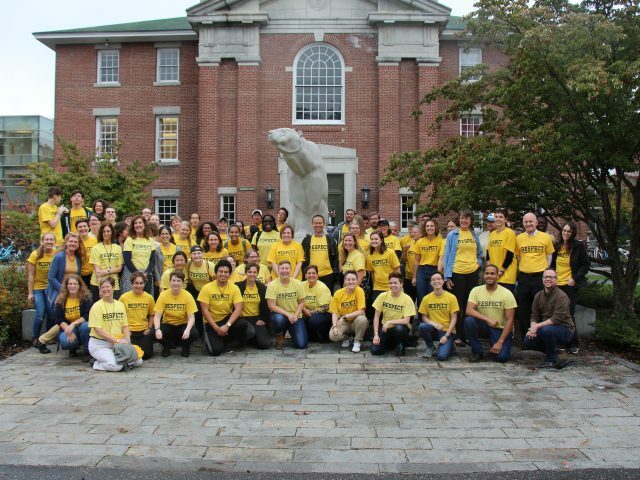 CMP, which provides service to Bowdoin and much of the Brunswick area announced on Twitter that power outages were extensive and that customers should not expect restoration quickly. The Portland Press Herald reported Monday that 484,000 people across the state are experiencing outages—the most since a previous peak during an ice storm in 1998. According to information on the CMP website, of 10,994 customers in the town of Brunswick, 10,448 are without power entirely. According to Mary Lou Kennedy, executive director of dining and bookstore services, Moulton Union will be closed for dinner this evening and breakfast tomorrow, even if power is restored before then. 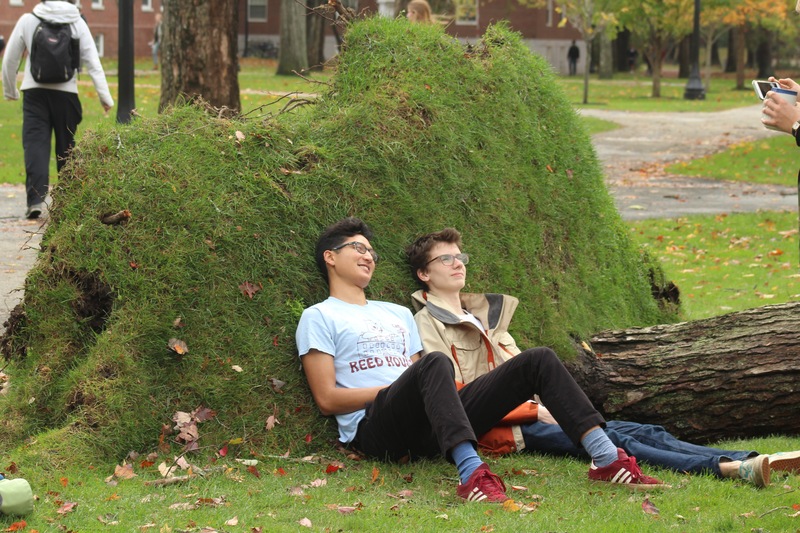 Students rest against a fallen tree on the main quad on Monday morning. Emma Kane ’18, who is the student director of marketing and recruiting for Dining Service and a manager at Jack Magee’s Pub said that Dining Service has been working overtime and experiencing a particularly hectic morning. “I’ve just seen how stressed they’ve all been trying to get help and trying to coordinate today, given that they’re understaffed,” she said. Thorne will remain open until 8 p.m. for dinner this evening. 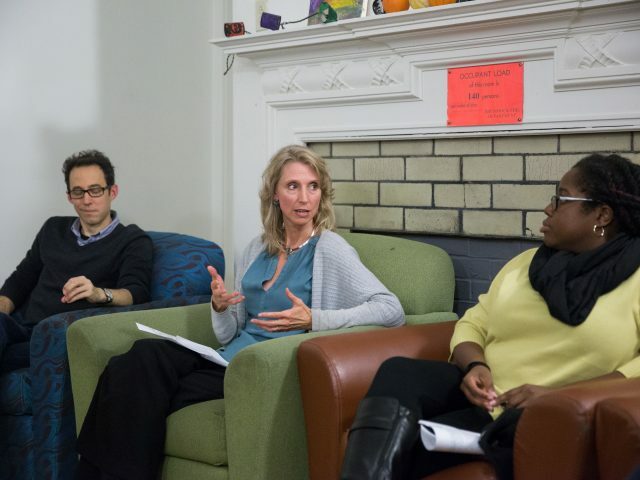 Sarah Drumm contributed to this report.